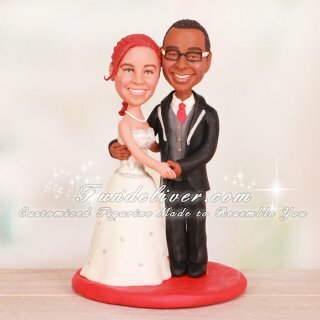 This is a completely customized bride touching groom face wedding cake topper ordered by one of our customers. They would like the groom to be wearing a black tux with gray vest, white shirt and red tie, the bride to be wearing a white gown and a pearl choker necklace. The pose is an important part. 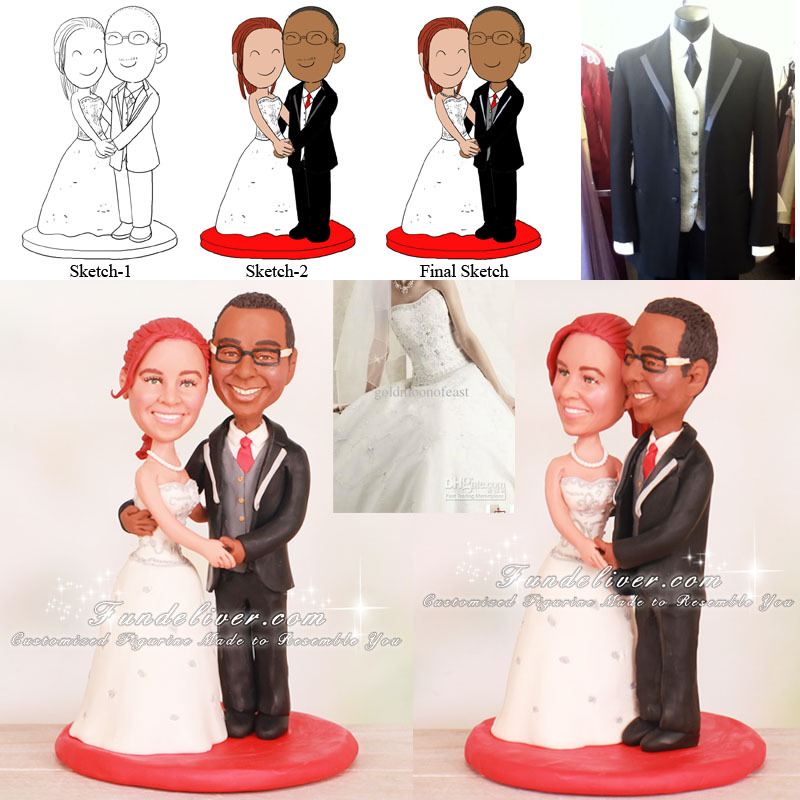 They would like the couple to be holding each other with the bride touching the groom’s face. Both of them are smiling with teeth showing, standing on a red round base.